The bad news today is that I get really thick and tough dumpling wrappers today, so please forget about the shaping. But the good one is the yummy final taste. My family cannot even figure out this is a vegan friendly pot stickers. 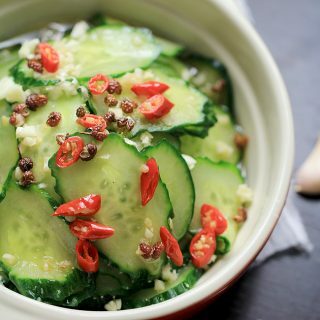 Recently I am thinking about creating more vegan-friendly or vegetarian friendly recipes on this blog. 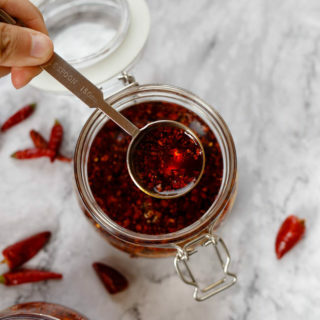 Although vegan Chinese recipes are not so famous, they deserve the notice! 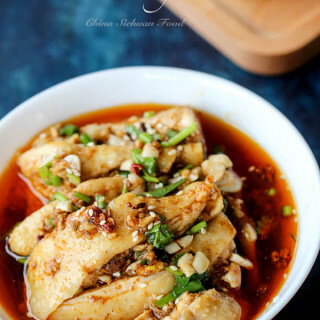 There are indeed many vegan friendly recipes in Chinese cuisine. Many of them even taste better than dishes with meat. This vegan potsticker is a great example. I was given a bag of potsticker wrappers so I skip this ingredient today. However when I get the first wrapper on my hand, I was really frustrated because those wrappers were so thick and tough. You may see from the pictures that it was really hard for me to press the edges together. But this does not influence the final taste very much because I am making potstickers. 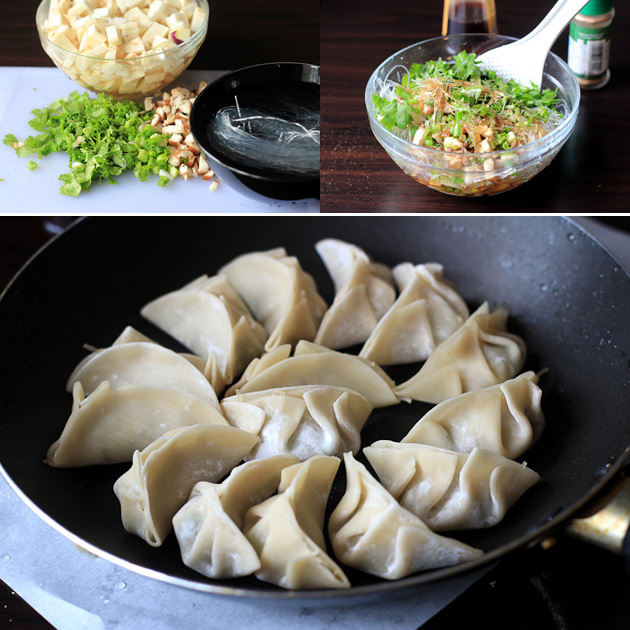 We have one potsticker assembling method, leaving the wrapper sealed incompletely so the filling inside can be cooked quickly and completely. Since I get “bad” wrappers today, I add around 1 tablespoon of warm water after the bottom side are sautéed to golden brown during the cooking process in order to make sure that other parts are cooked completely (the power of vapour). Then we need to continue cooking until all the water added are evaporated, and then the pot stickers become crispy again. In a sauce pan, heat up around 1/2 tablespoon of vegetable cooking oil and then stir fry eggplants with mashed garlic until soft. Transfer out. 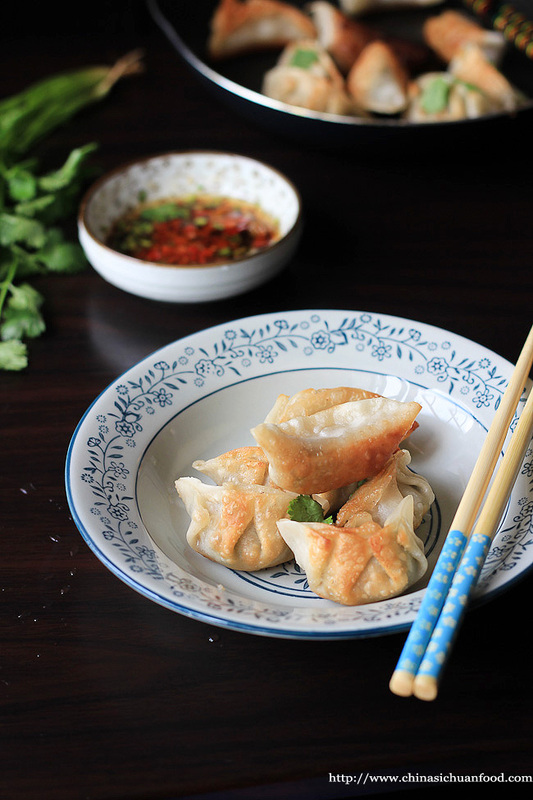 I love pot stickers but have never made my own from scratch before (I’m usually really lazy and buy them frozen from the store). 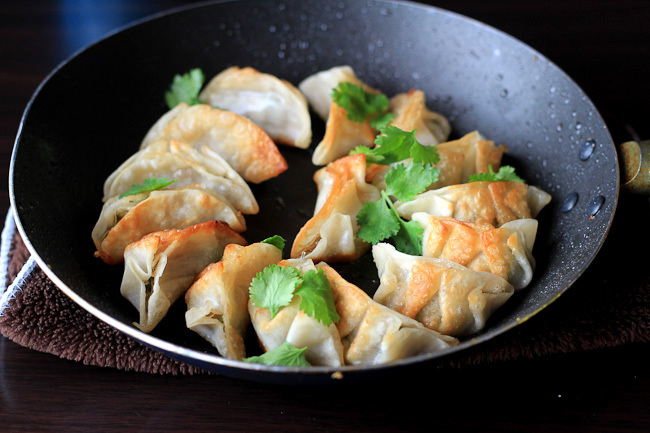 You have definitely inspired me to make this recipe, your pot stickers look delicious! Thalia, I love homemade version because of the varieties. 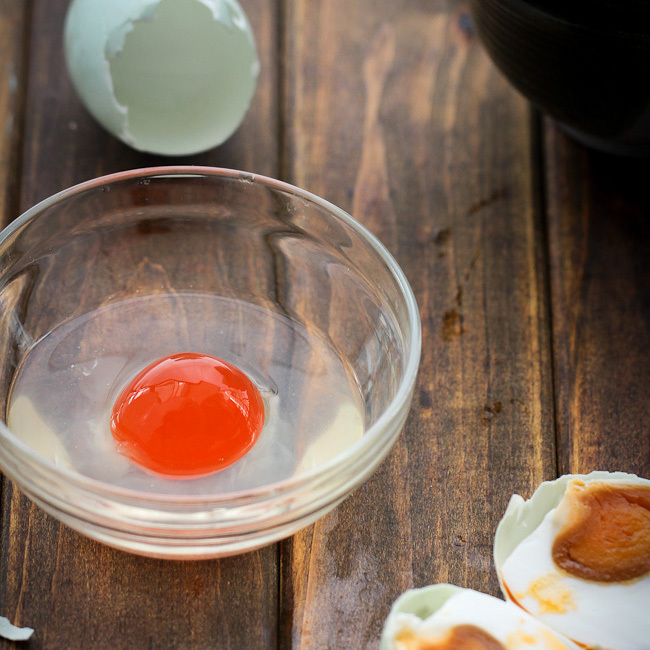 Each time, I will change the recipe for the filling a little bit (sometimes seasonal)to search new,healthy and yummy taste. 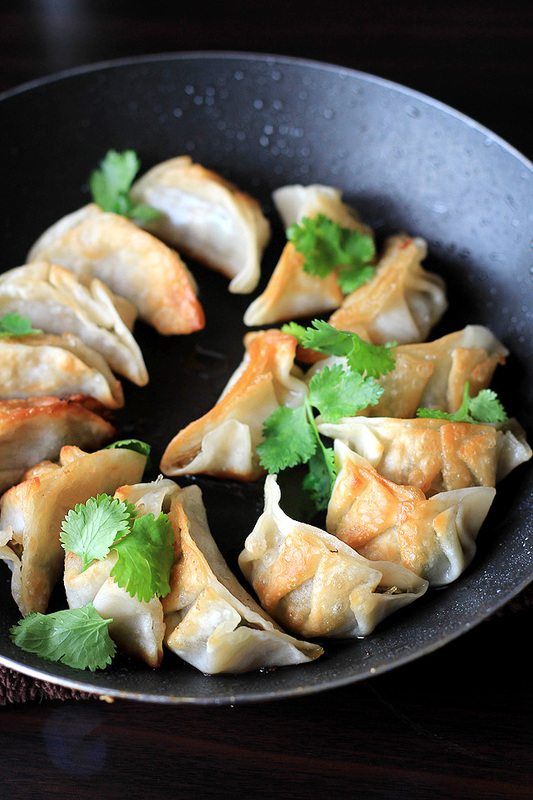 I’ve never tried making potstickers at home but will definitely do it after seeing this! 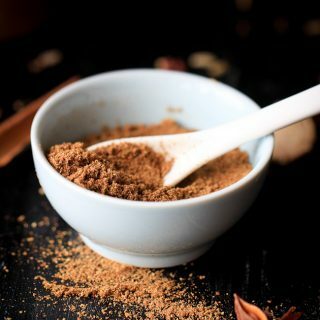 Making potstcikers at home is really enjoying and it is kind of family activity in China. I hope you will post more vegetarian and vegan recipes as you said you were thinking of doing. I do eat meat but I cook it only once a week for health and environmental reasons. I make vegetarian food 2-3 days a week and vegan food the other days, so I am always looking for new dishes I haven’t tried, especially vegan ones. I like foods which are naturally vegetarian instead of using some strange meat substitute. 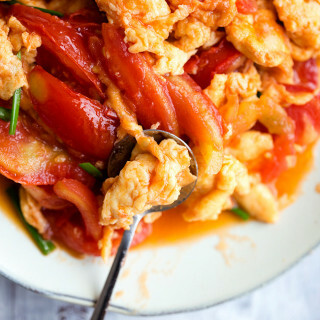 For that reason I cook a lot of Indian food, but I am trying to learn Chinese cooking as well, which is why I have been looking at your blog – a Chinese friend recommended it. That’s a good suggestion. In fact, I do not eat too much meat too. I love vegan and vegetarian dishes as most of them are really easy to prepare and quick to cook and the most important healthy benefits. You have my words. Ahhj that exciting im a new vegan (two months) my husband isnt so i make your meat dishes for him and veggie for me! I love your recipes and would love this!! Is it possible to dim sum these? Do you mean to steam them? They can be steamed for sure. Thanks Pragya for all the sweet words. Happy cooking in the coming 2016. 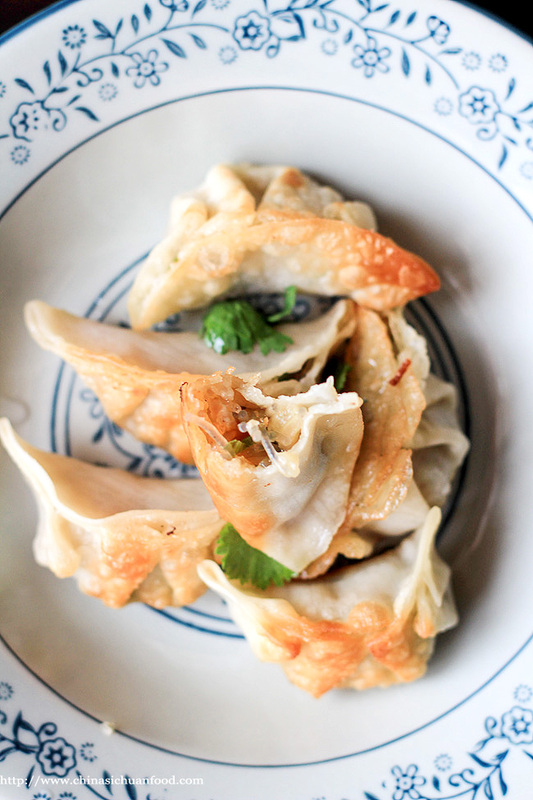 Can you use won ton wrappers – I don’t think we get potsticker wrappers in South Africa. These look delicious, would love to make them. 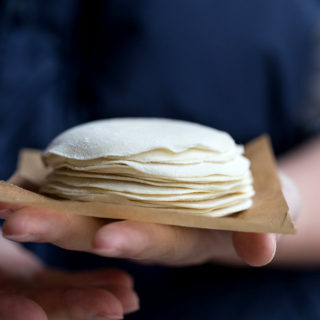 If dumpling wrappers are not available, you can make them at home https://chinasichuanfood.com/how-to-make-dumplings/. 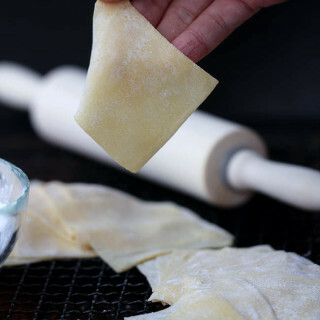 Wonton wrapper will create a different texture as it is much softer than dumpling wrappers. 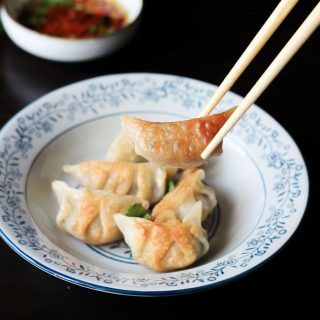 They may end as this one https://chinasichuanfood.com/pan-fried-wonton/. Thanks so much for this recipe Elaine! 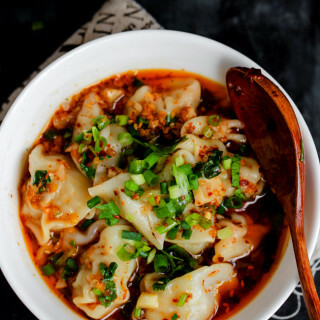 I turned mine into soup dumplings and used the base from your spicy wonton soup recipe. I also used your five spice and dumpling wrappers recipes for this. All came out fantastic! Good to hear that. Thanks for your feedback on those recipes. These look amazing! Are they freezable to be saved for later? 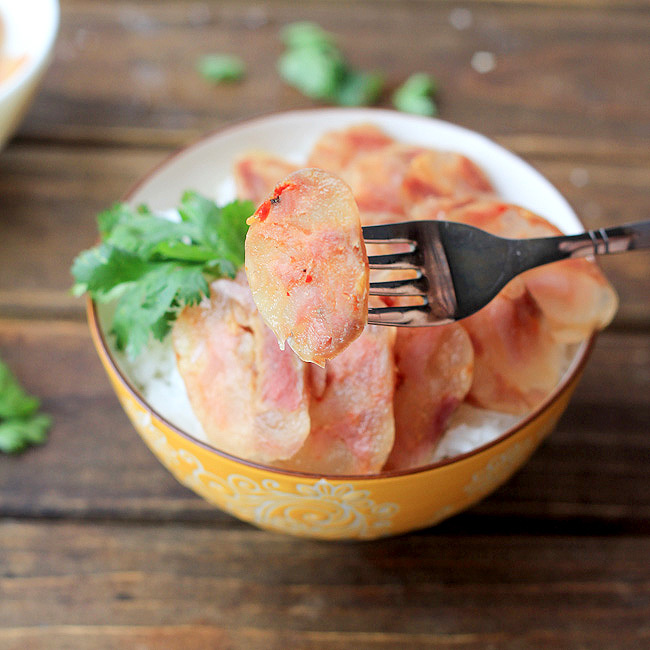 Yes, they can be frozen for later cooking.